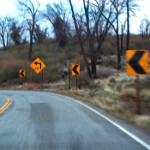 2012 has been a year for taking a new direction. I turned 50, which is, even for an optimist, “halfway there.” I almost certainly have fewer years ahead of me than behind me. I’ve developed an increasing intolerance for the idea of “getting around to it someday,” and have been taking decisive action on many fronts. Years aside, I have more life ahead of me than behind. I have more choices, more resources, more opportunities, and more freedom – all the space in the world for experiencing, creating, and enjoying. I’ve been letting go of lots of things – letting go of my identification with them – horse things, books, musical instruments. I’m selling a few things, and giving other things away, which is far more fun. I just took down my very outdated 180+ page personal website (www.LindaEskin.com) and replaced it with much simpler page leading to some of my other sites, including this one. I’m cleaning up physical spaces, decluttering my environment and my mind, making room and time for things that matter. I’ve decided I’m going to be a writer when I grow up. More accurately, I finally noticed that I am a writer, and started acting in accordance with that. At the end of summer I stopped working full-time in user experience, and instead am focusing most of my energies on writing professionally. 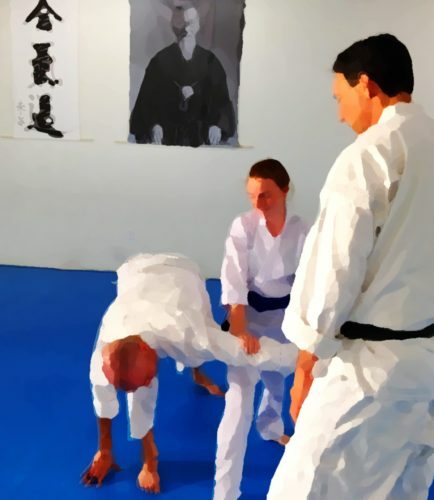 I started out with the goal of writing two books – a quick, short one just for fun, to learn how the process works, and one about my experience of Aikido. What I’m finding as I get deeper into it is that there will likely be a small collection of books. In addition to writing consistently, I’ve been learning about writing tools (hooray for Scrivener! ), book formats, and publishing options. I’m participating in The Merry Inksters, a support and coaching group for writers. That’s been both very helpful and a lot of fun. I launched my own publishing company (with no products yet! ), Shugyo Press, named for the ongoing, daily, transformative practice that Aikido is for me. I’m planning to have my first book out in a few months. I’ve been training right along, including helping in kids’ classes, and even teaching a few sessions when Sensei was away (look for “The Mirror” column about that experience, coming soon on AikiWeb). I was lucky to be able to travel to some seminars, and participate in even more at our dojo. I am scheduled to test for 1st kyu in March, so now I’m preparing for that. 2012 brought many fresh insights, and a lot of new or deepening friendships. I’m grateful for every moment on the mat, and delighted to still wake up excited about training. My wish for everyone is that they can find the same thing in their own lives – something to be grateful for every moment, and to wake up excited to be doing. Maybe for you it’s music, gardening, painting, research, or teaching. If you haven’t found it yet, keep looking, it’s worth it. 2012 been a very rewarding year, and I’m looking forward to the adventure that 2013 will certainly be. “How to Avoid Work: A 1949 Guide to Doing What You Love"
Excerpts from a career guidance book from 1949, about finding and following your calling. Well worth reading.